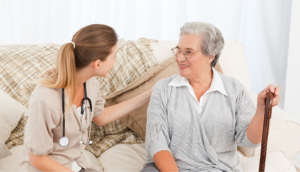 Specialty Programs - Home Health in Michigan | America’s Choice Home Care, Inc. Does your loved one have medically required care needs? America’s Choice Home Care, Inc. offers a range of Specialty Programs which are carried out by trained and experienced specialists. Our specialists also work alongside your physician to ensure that your care plan is parallel with your prescribed treatments. Fostering the smoother and faster healing of wounds; services are facilitated by experts in wound care, including application of Wound Vac (Negative pressure Therapy), Compression Therapy, Una boot, Special Dressings, Total Contact Cast, Debridement, etc. Implementing care techniques based on LVST or Lee Silverman Voice Treatment. Services are ideal for Parkinson’s Disease patients. The therapy focuses on helping improve mobility, speech and communication skills. Treatment may also be suitable for those who are diagnosed with Multiple Sclerosis, Stroke and other similar conditions. We have an Ostomy Care Certified professional on staff to help patients manage their stoma bag and other related medical equipment. Our nurses and therapists are fully-capable of implementing these Pain Relieving Modalities. If you experience chronic pain, one or a combination of these modalities may be the right option for you. We have a trained specialist in Back and Neck Treatment for patients who experience extreme and chronic pain due to sciatica, osteoarthritis/arthritis, degenerative disc disease, muscle disorders, and other similar conditions. Our nurses can help patients who suffer from psychological disorders, including depression, anxiety, psychosis, etc. This service is provided as a way to prevent the patient’s re-hospitalization and relapse. The program includes post-surgery care, disease education, and setting parameters as established by the patient’s physician. Our specialists can help patients who have been diagnosed with Diabetes, CHF, UTI, Dehydration, DVT, Heart and Lung diseases. As part of the comprehensive rehabilitative treatment, we offer expert therapy to reduce dizziness, imbalance and other vestibular issues. The goal is to restore the patient’s fullest mobility and independence. America’s Choice Home Care, Inc. has specialists who can provide treatment to reduce fall risk for patients with mobility problems. The treatment focuses on ergonomics, adaptive & assistive device evaluation and training. You can consult with our Orthotist and Prosthetist on staff. They can provide you with sound advice concerning your orthotic and prosthetic needs. You can also ask for an evaluation to check the optimal fitting of your prosthesis. We have nurses and therapists who are trained in hospice and palliative care. They will care for patients who are diagnosed with terminal-illness by providing them relief from chronic pain and other debilitating effects of their health condition. These Specialty Programs aim to help patients feel more comfortable, achieve a higher level of independence, and most importantly, to heal faster in the privacy of their own homes. Please call us if you need short-term care or long-term care services. You can reach us at 586-412-5810. The Mission of America’s Choice Home Care, Inc. is to exceed client/patient expectations by providing knowledge, safe and cost effective home health care through Honesty, Hard Work and Humility. We dedicate ourselves to the continuous improvement in the quality of care we deliver.